Sit on an exercise bench with back support. It is important for reduction of back load. Grab the dumbbells. Your elbows should be bent and close to the torso, wrists pointed upwards with palms facing your body. Your starting position should look like the contracted portion of a dumbbell curl. When the starting position was taken, raise the dumbbells over your head as you rotating them on 180 degrees while exhaling. In other words, if in the starting position your palms were facing your body, then in the top position they are facing away from your body. 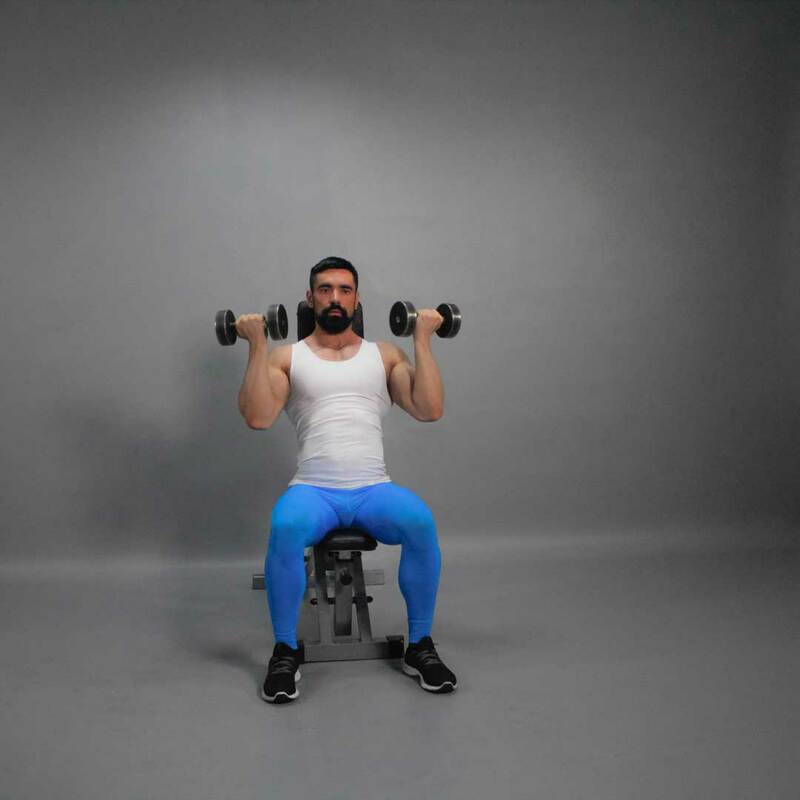 While inhaling, lower the dumbbells back to the starting position.